The EU has recently ramped up its Common Security and Defence Policy. Will the UK be able to maintain similar partnerships with the EU after Brexit? 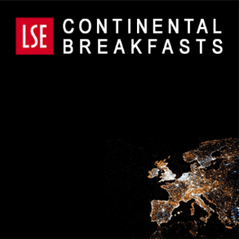 Sean M Deel (LSE) reports on an LSE Continental Breakfast discussion at Sciences Po, Paris on 28 March between leading thinkers in international relations and European politics, with contributions from policy makers and civil servants. Continued deep ties in defence and security have clear advantages to both sides. But while well-established relationships like the Anglo-French alliance may be easy to maintain whatever the outcome of Brexit, finding a place for the UK in the EU’s more ambitious security and defence integration plans may depend on the overall tenor and outcome of the negotiations in the other, more politically contentious, domains like trade and the Irish border. In short, it seems that future arrangements in foreign policy and security cooperation are subject to the same rule governing all of the Brexit negotiations: nothing is agreed until everything is agreed. Unlike in other areas of the negotiations, the UK’s bargaining hand in the area of security and defence is quite strong. The EU has good reason not to want to break ties with a permanent member of the UN Security Council – nor to lose access to the UK’s considerable defence capabilities and expertise, not to mention its contributions to European defence spending. Furthermore, in contrast to other areas of the Article 50 talks, the UK government has managed to clearly outline what it is looking for from a future UK-EU security relationship. In last year’s Florence speech, Theresa May proposed this arrangement take the form of a treaty between the UK and the EU that could provide ‘a comprehensive framework for future security, law enforcement and criminal justice co-operation’. The goal of such a treaty would be to maintain, as closely as possible, the ‘deep and special partnership’ between the two in a way that would go beyond the EU’s agreements with other external partners. Whether the future relationship ultimately takes the form of a treaty or some other combination of arrangements, the UK government has signalled its willingness to continue to play an active part in EU defence initiatives and institutions. In its recent white paper on future collaboration in foreign policy and defence, it stressed that it was considering ways to participate in the Commission’s European Defence Fund and to collaborate in European Defence Agency projects. The EU, for its part, has not shut the door to UK participation in its programmes, though at this stage the EU has largely signalled its intention to treat the UK as a ‘third-country’, rather than imagining a special status for it during the negotiations. An argument can be made that defence remains largely an intergovernmental domain – supported by agreements between governments and other transnational alliances like NATO – and so Brexit need not cause too much trouble for future European partnerships. However, it is also true that, in Europe, this intergovernmental framework is increasingly taking place under the auspices of the EU. For this reason – and its implications for, for example, the UK defence industry – the UK is keen not to become too detached from EU developments after Brexit. Even though the relationship between the EU and the UK will have to be reconsidered, there is the potential for complementarities to emerge from a new arrangement. Indeed, there are some signs that Brexit may resolve some of the dysfunctional aspects of the UK-EU defence relationship. With its most sceptical partner heading for the door, the EU has managed to jumpstart its more ambitious defence integration plans, which had been languishing for years. Likewise, with the prospect of being at a safe distance from future developments within the bloc, the UK’s attitude towards European defence collaboration has turned markedly less dubious. If agreement over the future relationship can be reached, the UK’s new role as an ad-hoc partner may suit both sides. Since the referendum, the UK has abandoned some of its past obstructionist rhetoric and action. Indeed, in recent speeches and publications, its tone has been remarkably warm and enthusiastic, and these changes are not purely rhetorical. Under David Cameron’s premiership, for example, the UK government had resisted setting up a European Defence Fund – the same European Defence Fund that it is now willing to make contributions to even after it leaves the EU. Likewise, in a vote that took place just a few months after the Brexit vote, the UK declined to veto an increase in the European Defence Agency’s budget, the first such increase since 2010. This change in the UK’s stance is important for showing its goodwill and makes it more likely the two sides will not fall out. Negotiations so far have made it clear that there is a willingness on both sides for a post-Brexit relationship in defence and security. What this relationship might look like is still unclear. Defence and foreign policy partnerships in Europe are characterised by a number of different, and sometimes overlapping, coordination mechanisms: bilateralism, mini-lateralism, as well as enhanced cooperation efforts under the EU’s Common Security and Defence Policy (CSDP). While recent trends have shown a clear push for greater integration of Member State competences, the EU also maintains strong relationships with external allies, including Canada, Norway, and the US. All of these existing mechanisms and relationships provide templates for the forms that future cooperation between the UK and the EU might take. For now, however, the EU seems keen to engage with the UK in a way that conforms to its general rules for third-country involvement. In other words, the UK cannot be treated as either a member of the club nor as a privileged external partner, though this does not rule out agreement on a bespoke arrangement which preserves some of the benefits of the existing alliance. However, EU defence policy is developing quickly without British involvement, and the EU is seeking to ‘protect its decision-making autonomy on defence operations and missions’. This makes fitting the UK into future arrangements somewhat more complicated. Since the Brexit vote – and spurred by the UK’s impending departure – European defence plans have been accelerating quickly. Some projects, after lying dormant for several years, are finally coming to fruition. 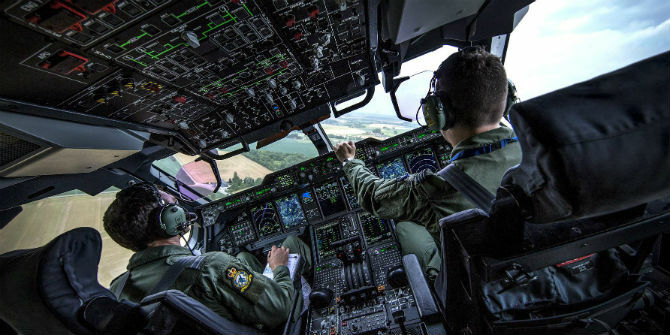 The European Union is making strides towards greater structural integration of its defence forces through the Permanent Structured Cooperation (PESCO) programme, part of the EU’s new comprehensive approach to defence coordination. PESCO aims to set up binding commitments between Member States to jointly develop military capacities through an ambitious programme of collaborative projects spanning training, logistics, infrastructure, and cyber security. PESCO was activated in September 2017, with 25 of the current 28 EU Member States signing on. Of the three non-participating Member States, Denmark has a permanent opt-out from EU common defence policy, Malta is currently relying on its constitutional neutrality clause, and the UK, heading for the exit door, will not be eligible to participate once it loses its Member State status at this stage. PESCO is still in its early days, but it has already established 17 initial collaborative projects in the areas of ‘training, capability development and operational readiness’, each with participating Member States attached in various capacities. While this seems to leave the UK on the sidelines, the EU is currently deciding on the conditions under which ‘third countries’, including the UK, may be able to participate in individual projects. For now, EU guidance on the matter suggests that they are open to UK participation in PESCO projects, but only by invitation and subject to the general conditions of third-country participation, which are yet to be fully decided. PESCO is just one of the programmes recently initiated under a broader push for common security and defence integration, along with the European Defence Fund and an annual defence review. Despite the general Brexit rhetoric about not wanting to be a rule-taker, the UK would likely be willing to agree to a consultative arrangement in this area if it helped them get a comprehensive security arrangement with the EU. While this would mean that the UK would not have a seat around the table, it could provide it with some leverage to have a say in any operations it would be a part of. Another way that the UK can maintain links with Europe is through bilateral relationships. One of the most important of these is the Anglo-French alliance. Now, with the UK heading for the door, France has seen an opportunity to take the lead in European defence policy, while at the same time not abandoning its old ally across the channel. France is Europe’s only other nuclear power, has a permanent seat on the UN Security Council, and (along with Britain) has one of the largest defence industries in Europe. It is, therefore, slated to be the pre-eminent engine of European security post-Brexit. Emmanuel Macron’s recent trip to Washington also signals France’s role as an important interlocutor with the United States. Macron has already made overtures towards inhabiting these new roles, having outlined his plans for a ‘European Intervention Initiative’ (EII), which would establish a common European intervention force, a common defence fund, and a common security doctrine. It is not clear exactly how this would sit alongside other European programmes like PESCO, but, at the military summit at Sandhurst earlier this year, Macron made it clear that the UK would be an indispensable partner. This suggests the EII would sit outside of the EU framework, despite being planned as a collaboration between Europe’s major defence powers, and may put it in direct competition with the EU’s own plans. In the same speech, Macron underlined the importance of the existing Franco-British defence relationship. In 2010, the UK and France signed the Lancaster House Treaties, which committed them to decades of nuclear co-operation, initiated joint operations between the two armies, and set up long-term collaborative projects between their defence industries. Work continues on a €2bn Anglo-French contract to develop an unmanned air combat system to be ready for testing in the early 2020s. Examples like these raise the question of what the impact of Brexit will be on the UK defence industry. While bilateral programmes like those it shares with France are lucrative, UK defence contractors are wary of losing access to the full range of contracts that will be up for grabs under EDF-funded projects. It is not clear that bilateral programmes will be enough to sustain the UK defence industry, and it remains to be seen if the UK will be able to negotiate ‘pay to play’ access to projects set up under other of the EU’s new programmes, including PESCO. European defence has been revived in recent years thanks not only to Brexit, but also to two main developments on the world stage: an increasingly unpredictable ally in the United States, and tensions with Russia. Both trends may also have the effect of reinforcing the UK’s defence relationship with the EU. When the UK invokes ‘shared values’ with its European partners, this is partly a reference to common adversaries. In this sense, increased geopolitical tensions may help keep the security partnership between the UK and the EU together regardless of other Brexit tensions. The expulsion of Russian diplomats in late March – by the UK and 16 other EU Member States – in response to the suspected involvement of the Russian government in the poisoning of the Skirpals, was considered a diplomatic victory and showed an ongoing solidarity between the UK and its allies in the EU. Likewise, an increasingly ‘assertive’ Russia has provided impetus for a bolstered European common front. Meanwhile, the US under Donald Trump has made the transatlantic partnership look somewhat less stable. The Trump administration’s ‘America-first’ policy in the area of foreign policy, as well as its volatile posturing towards NATO, may push the UK closer to the EU pillar of the alliance. In short, the EU and the UK have many foreign policy and defence complementarities and there seems to be more goodwill and less tension in this area than there has been around issues like free movement and the divorce bill. However, in the event of a souring of talks over, for example, a future trade arrangement or citizens’ rights, there is potential for collateral damage in future security arrangements. Perhaps the most potentially fraught question remains the Irish border, about which talks remain at an impasse. In short, any conflicts arising in the economic and political deal have the potential to scupper at least the more ambitious plans for a comprehensive security arrangement that the UK – and indeed the EU – is currently seeking. 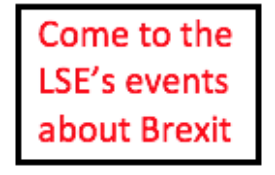 This post represents a report on a discussion and not the views of the author, the Brexit blog or the LSE. For a longer, fully-referenced version, please see the full write-up. Sean M Deel is a PhD candidate at the LSE’s European Institute. His research deals with the political sociology of free movement of EU citizens. The UK is not quite such a catch defence-wise as it might appear. Like Germany there are reports that the Air Force is short of spare parts and availability of aircraft. The Army has been run down to a minimum strength and performed poorly in Iraq. The Navy is also at a minimum strength. Frigates are getting long in the tooth and the destroyers have unreliable engines requiring very expensive refurbishment, have very limited anti-ship capability and are irredeemably noisy. The carriers have no planes. What’s to like?